Set in 1814, TABOO follows James Keziah Delaney, a man who has been to the ends of the earth and comes back irrevocably changed. Believed to be long dead, he returns home to London from Africa to inherit what is left of his father's shipping empire and rebuild a life for himself. But his father's legacy is a poisoned chalice, and with enemies lurking in every dark corner, James must navigate increasingly complex territories to avoid his own death sentence. Encircled by conspiracy, murder and betrayal, a dark family mystery unfolds in a combustible tale of love and treachery.In addition to Tom Hardy, TABOO also stars Jonathan Pryce, Oona Chaplin, Stephen Graham, Michael Kelly, Jessie Buckley, David Hayman, Tom Hollander, Jason Watkins, Franka Potente, Jefferson Hall, Ed Hogg, Leo Bill, Christopher Fairbank, Richard Dixon, Mark Gatiss, Nicholas Woodeson, Lucian Msamati, and introducing Robert Parker.TABOO is created by Steven Knight with Tom Hardy and Chips Hardy, who is also the show's consulting producer. Executive producers are Ridley Scott and Kate Crowe for Scott Free, Tom Hardy and Dean Baker for Hardy Son & Baker, and Steven Knight, with Timothy Bricknell producing. TABOO is directed by Kristoffer Nyholm (Eps. 1-4) and Anders Engström (Eps. 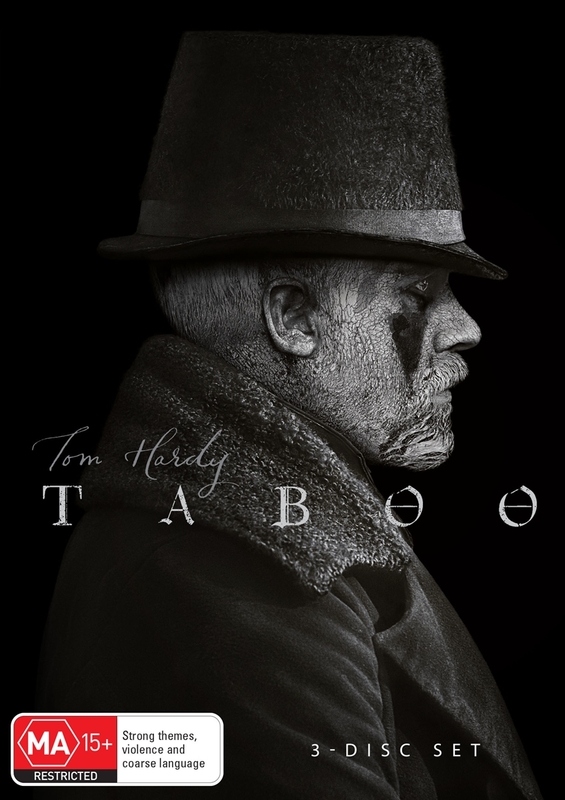 5-8), and reunites Hardy and Knight for their third collaboration following Locke and Peaky Blinders.TABOO is produced by Scott Free and Hardy Son & Baker for FX and BBC One with Sonar Entertainment distributing worldwide outside the UK, and distributed by 20th Century Fox Television Distribution.